Happy Independence Dog is 100th Photo! Here’s to fellow American Shepherd Tripawd, Luna! She sent us this pawtriotic Fourth of July greeting, and her photo became the 100th image in our first Tripawd Pals gallery. Preserved here in this post for perpetuity. We’ll probably start a new Tripawd Pals gallery now. So send us your photos and maybe your three legged friend will be featured here in my canine cancer blog! All loud bomb noises aside, I hope you all had a Hoppy Fourth. Just remember, every new day is cause for celebration when your living – and loving – life on three legs. Thankful for How You Help Tripawds Everywhere! Three Cheers for Ugly Gus!!! It’s great re-reading these posts and seeing these photos of Luna again here. What a great service you are providing for all pawrents of tripawds…keep up the good work!! Awww, it’s great hearing of you and bringing Luna’s beautiful face into the spotlight again. She is always in our hearts. Thank you for the sweet compliments! 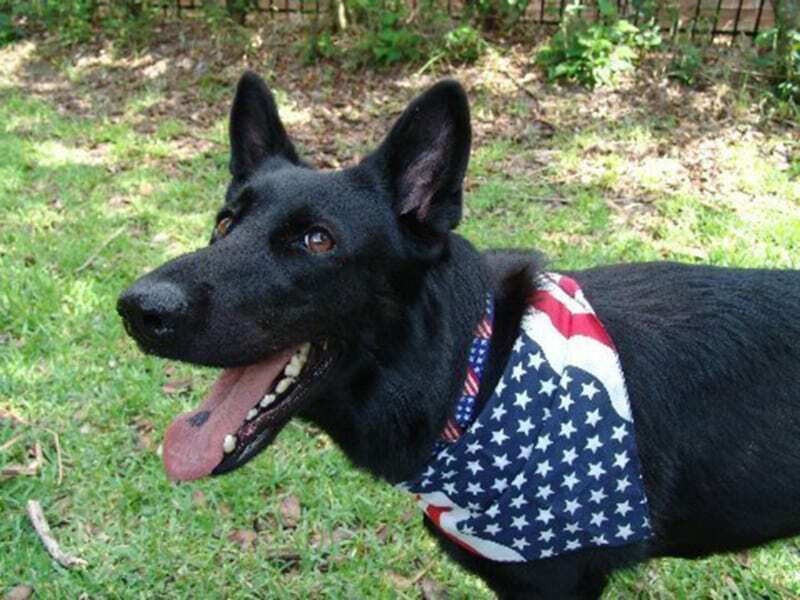 Hey, Jerry, thanks for posting the photo of “Luna” above wearing her 4th of July bandana!! Hope everyone had a great 4th of July! !